You can’t make this stuff up. While the rest of the Product Marketing team was working on a new pricing model, Michael had uncovered a huge hole in the underlying logic. No one had thought to understand the customer value. They had heard that the price was too high, so many times, from so many sales people, that they stopped questioning it. Is price the driving issue? Do some win/loss (or hire Alan to do it for you) and find out what's really happening in your sales. Don't look at one; look at a bunch--and find the patterns. A slightly more sophisticated form of the Willingness to Pay question (“How much would you be willing to pay for this?”) is the Van Westendorp PSM (Price Sensitivity Meter), which is a battery of four questions. Interesting post from Jeffrey Henning of Vovici on using research to set prices. On pricing: Where does the value occur? Product managers and others seem to love to discuss pricing, whether they have control of it or not. The question seems to be focused on the mechanics of different pricing systems--up-front, subscription, usage--when it should be focused on aligning the price with the product value. It seems to me that the trick to successful product pricing is to get the money immediately after the customer has received the value. And that's probably the best time to upsell them too. "You've enjoyed the product. Pay for it now. And what else can we sell you?" You've had good food and good service at a new restaurant. The bill comes after you've eaten. And along the way, the server has upsold you on coffee, dessert, maybe an after-dinner drink. Good thing they didn't have you pay in advance. I would probably buy tickets for upcoming attractions as soon as I've seen the trailer, before the movie even came out, assuming the theater could sell me a ticket without derailing the movie experience. Many times, I watch the "coming attractions," and think, "I'd rather see that movie than the one I am here to see." (And sometimes I have even forgotten what movie I'm there to see. But dang! Those upcoming films look great.) What if I could send a text to pre-pay for that movie and be notified when the movie is in theaters--and better yet, get an offer to see the movie in some kind of exclusive setting rather than packed into a sold-out show. Compare that with buying an article online. You hope it'll have the information you need for the report or article that you're writing but you won't know until you buy it. So you pay for the article and then don't find what you need. Dang! What a rip-off. And you tell your friends to avoid that service in future. On the other hand, consider the try-and-buy option on Kindle. "Hmmm, I wonder if I'll like this book?" Not sure? Try it. Amazon downloads the first dozen pages for you to read. And the end of the sample, there's a "Buy Now" button. So it seems to me that pricing products is difficult because we try to charge people too soon. Could it be because we fear that they won't value the product as much after they've seen it and used it? Other than restaurants, can you think of products that charge you when you're most likely to appreciate the value? I hate commodity products because I like premium pricing. But how can you charge a premium? Generic cables are commodities--yet audio and video cables from Monster fetch a premium price. Why? They're made with better wires and they come with a lifetime warranty. Flour is a commodity--yet my father prefers to bake bread with Robin Hood flour, available only in Canada. It makes the best bread! The last time I drove to Toronto, he asked me to buy him some. I said, "You want me to smuggle 10 kilos of white powder across the border!!" Hood's baking professionals responded by providing high-quality convenience foods. During this time of intense economic competition, Robin Hood renewed its focus on quality, service and building trusted partnerships with customers and suppliers. If you have a me-too product, you'll have to offer me-too pricing. But why not charge a premium? What do you do that is special in your competitive marketplace? And who values that special thing? Instead of building a product that is just the same as everyone else's, build one with capabilities or attributes that matter to a market segment. And charge 'em a premium. Pricing: It’s all about trust. I led a pricing discussion last week at pCamp Amsterdam. Pricing is a topic that everyone has interest in, even if they don't have responsibility for pricing. There are research tools, notably conjoint analysis, that will help you set the right price but most product managers seem to follow try a logical rather than quantitative approach. Apple products are often brought up in most pricing discussions. How do they charge a premium? Frankly, it's always difficult to use Apple as a reference point. They are huge; they spend money on research; they often seem to develop products specifically for Steve Jobs; they have a rabid fan base. Do you? Can you apply Apple's success to your own situation? More important, how is it that Apple can charge premium prices, especially for new products? The Apple iPad is a premium priced product that had hundreds of thousands of orders before anyone in the general public had actually seen it. How in the world…? For one thing, Apple gave an incredible demo when the product was announced. Apple's keynotes are in fact 90-minute product commercials. You can see the products being used in real life. But even though they hadn't seen the iPad, an amazing number of people pre-ordered the product. Why? I think Apple has created a loyalty from its customer base. Apple customers know the first product will be great and that subsequent products will be even better. We trust that they've designed another great product. Can you say the same about your company? Your products? Will the first release be great? Or merely adequate? As much as anything, pricing is aligned with trust. How much do you trust Apple or RIM or Microsoft or Oracle or SAP? I just bought a new Jawbone wireless speaker. Sight-unseen. But I have trust. I bought Aliph's Jawbone ICON. Love it. So when they told me about the new speaker, I was inclined to trust them. And I didn't look elsewhere. I didn't compare "feeds and speeds" with other units. I went, "Yes I have this problem" and "I like Aliph products." Not everyone feels this way, which is why it's important for you to research your customers' expectations rather than yours and mine. Research isn't just about product features; it's also about pricing, packaging, distribution channel, access to customer support, and so on. Pricing is a complex issue. It involves comparison to competitive products and alternative products (I could buy the Aliph or the Jabra headet). It includes the cost of alternative uses of the money (I could buy a Bluetooth headset or a Netflix subscription). It involves trust (Do I believe it'll be worth the money? How does this compare to other products I've purchased in the past). Start with these questions: competitive, alternatives, and trust. And then test the idea with your customers-to-be. You may be surprised with their answers. Sure it's cool but will people pay for it? One of the key ideas for any new product is "how will we make money?" or "Will our customers be willing to pay for it?" In a new study, researchers found that while half of all Americans surveyed have tried a free web app like Twitter, zero percent of them would be willing to pay to use Twitter or a similar service. This finding is just one unearthed by USC’s Annenberg School for Communication and Journalism’s 2010 Digital Future Study, a study that’s been tracking online and social media behavior for the past nine years. In December 2009, users were hit with a hoax that Facebook would start charging $5/mo. My friends and family went insane but all agreed that they'd pay for it. How will your product make money? The old school answer was "advertising." The new school is "value add." Look at the fabulous Flipboard app which turns Facebook and Twitter into a magazine format. How will your product make money? The most common method of pricing is cost-plus, where you take the cost of your manufacturing and add 10% (or 50% or 200%) to create a selling price. And pricing experts assure us that cost-plus is always wrong. The cost of components in the new iPhone is $181.55. And Apple appears to barely recoup their costs with phones starting at $200. Of course, to get the $200 price, you have to sign up for a $40/month subscription with AT&T so Apple makes much more in the long-run. Still 60,000 people bought new phones on the first day, so I guess price wasn't their issue. People who hate AT&T will opt for Android but the same scenario applies. What's your pricing scenario? Do people get value at once or over time? Price your product in alignment with the customers' perception of value. Can I pay you a premium fee for a premium service - PLEASE? Yesterday, after one too many unanswered tech support emails, I invested in a new web hosting provider. The new provider is around 400% more expensive than the previous one, but their customer service is extremely good. I had already researched them months ago and was really impressed. Nice writeup about pricing, customer support, and the pain of switching. And I expect Jim will get a follow-up from the old service asking how to win back his business. Too late. He didn't want to leave but having left, he ain't comin' back. Conjoint analysis is a set of market research techniques that measures the value the market places on each feature of your product and predicts the value of any combination of features. Conjoint analysis is, at its essence, all about features and trade-offs. Is Your Product Priced Right? When launching any new product, pricing is an important component to consider. We must price the product to fit in with our overall value proposition. Are we positioning the product as a high end expensive, valuable product or a bare bones low cost product? What do our customers want? How much will they pay? Pricing is always a topic of interest to the strategic product manager. Jennifer offers her outside-in View with some great tips on pricing. How do you turn data into revenue? It's organized by how revenue is generated, from direct money-for-data to indirect branding programs. Notice anything about the "new cost" pricing for Google apps? For more on pricing, read Don't just roll the dice - a usefully short guide to software pricing and Camels and Rubber Duckies. Update: this is the pricing for Google storage for Gmail and Picasa Web Albums. Pricing is important today because products change frequently, competition is intense, and software development and delivery costs are shrinking. New software business models, such as on-demand/SaaS (Software as a Service) delivery, are threatening traditional software companies. Whether you adapt to these new models or address them another way, a tactical pricing error will hurt your company. I was 20 when my wife & I got married and I used to play guitar for weddings to make a little extra cash. I did the first one for $40--an astronomical sum in those days, at least it was to us. And the bride didn't blink at the price. For the next wedding I changed $60 and the planners accepted immediately. At $80, still no hesitation, nor was there at $100. When I got to $125, I started getting some resistance and at $140, they balked. So I set my price at $125 and lost only a few deals. It's really hard to ignore your costs in pricing but you should. What's the cost of a couple of hours on a Saturday? $20/hr seems more than enough! But $60+ dollars a hour was even better. My wedding planners weren't really paying for two hours on a Saturday-- they were paying for my ten years of experience that created a lifetime memory. You don't pay a doctor by the hour, why should you pay by the hour for a musician... or a consultant? How many years of experience led to a breakthrough software or software product? At Pragmatic Marketing, we accelerate product management. We help heads of marketing get their people up to speed quickly so they don't have to do it themselves. More important, we help you deliver products to market faster and with shorter time-to-profit! What's the value of better products faster? What's the value of having standardized business cases and market requirements? What's the value of crisp positioning? What's the value of a standard, repeatable approach to product management? So what's the value of your offering to the client? That's the question one must answer when pricing a product. 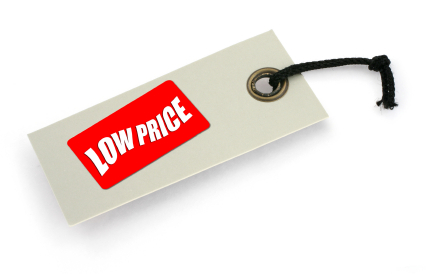 Jacques Murphy explores pricing: "Today's issue is not a simple one. It's product pricing, or how to structure and set the price of the software product. Like philosophy, there are many schools of thought, some openly opposed to others, and Product Managers find themselves faced with a dazzling array of choices." Read more in Product Pricing and The Socratic Method. I've just bought a digital SLR camera from Canon and it has me thinking about pricing. Canon is offering a $100 rebate if you buy before August 1--hmmm, just about the time the new Sony SLR camera is planned to ship, the one I've been waiting for. So, for basically the same price, I can get a "better" camera sooner. Sounds like a good deal! Canon has used a rebate to offer predatory pricing without reducing the actual price of their camera. Good combination of competitive intelligence and pricing strategy. The camera is a delight but the rebate process is troublesome. I think I've spent an hour getting all the paperwork together. Do they make it difficult on purpose? Yes, I think they do! The $100 incentive helps one decide to buy yet they don't actually have to pay the $100. So they make an offer (like the Dr Scholl's guarantee) and then make it difficult to receive the offer (like Dr Scholl's--did you keep your receipt? And can you find it six months later?) And I still fear that I've done something wrong and will get a "so sorry, you messed up" response from their fulfillment service. Coupons and rebates are methods of offering different prices to different personas. Those who are price sensitive are beguiled by the option while those who aren't don't care either way. The offer is effective before the sale but somehow less relevant after the sale. It's buying versus using criteria. Can we use this technique in B2B? It certainly seems to affect the B2C sales cycle! Chuck McKay reminds us that it ain't the price that matters. When will your sales people learn this?